50 Years Ago in Hockey - Is Gump in Hot Water? 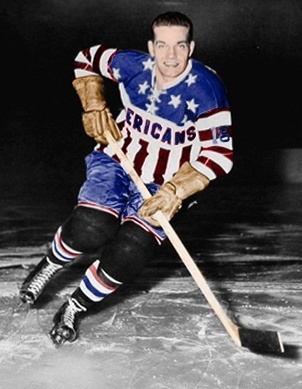 50 Years Ago in Hockey – Is Gump in Hot Water? Montreal Canadiens goalkeeper Gump Worsley may be in trouble with the league after an expletive-filled tirade against referee John Ashley during the third game of the Stanley Cup final series the other night in Chicago. Gump Worsley had harsh words for referee John Ashley. Worsley became upset with Ashley after Chicago’s Phil Esposito was credited with a second-period goal to tie the score at 1-1. Worsley immediately protested that Esposito had kicked the puck into the net. Ashley turned his back on Worsley and skated away to centre ice. 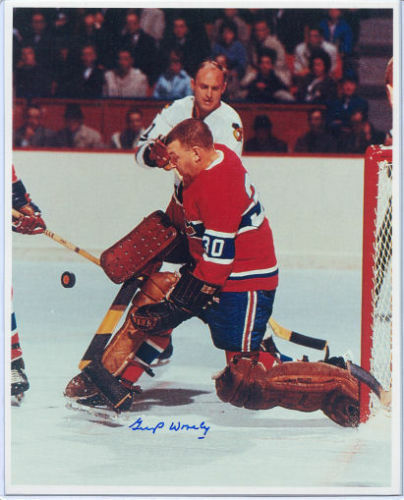 The Habs’ roly-poly netminder, usually a jovial sort of fellow, gave chase and followed the official all the way to centre ice, making his case in rather colourful manner. Ashley did confer with his linesmen but refused to disallow the goal. The decision infuriated the Gumper even more, and he let Ashley have it with both barrels. Curiously, despite Worsley’s theatrics, Ashley did not tag him with a misconduct penalty. After the game, Worsley was not shy about relating his part of the conversation with the referee. He told reporters that he had accused Ashley of lacking the guts to call back a goal that had been scored illegally. “And I told him he didn’t have the guts to give me a penalty either,” Gump said. 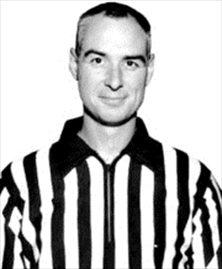 NHL referee-in-chief Carl Voss, acting in the stead of president Clarence Campbell, who continues to rest in a Montreal hospital, read Worsley’s quotes and was upset. The Montreal goalkeeper may be subjected to a fine for besmirching the integrity of an NHL official. “It’s quite possible that Ashley decided to give Gump a break by pretending that he did not hear the comment” was Voss’ rather typical explanation. Voss said he had a good view of the goal in question. 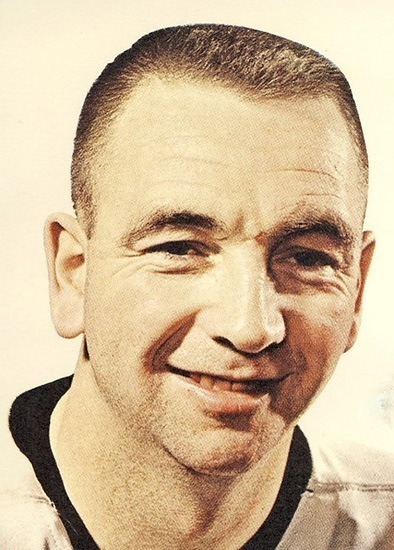 The Black Hawks managed to win game three and gain renewed life in the Cup final thanks to the return to their lineup of Kenny Wharram and Pierre Pilote. But what got them back when their return was not anticipated might be the bigger story. 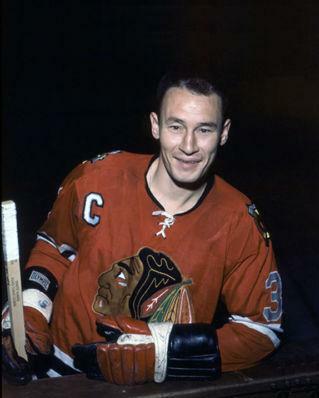 Pierre Pilote credits DMSO with enabling him to play in game three. Chicago’s team physician, Dr. Myron Tremaine, had recently read about a sulphide compound that had been recently discovered at the University of Oregon. He felt that its characteristics might be beneficial to Wharram’s knee injury and Pilote’s shoulder woes. The medication is a red liquid derived from paper pulp waste. It is applied by spraying it onto the affected area. It is let to stand for 20 minutes and then removed. Wharram’s knee and Pilote’s shoulder responded wonderfully and both were able to suit up and play at their regularly high level. Wharram scored the game-winning goal, while Pilote anchored the Chicago defence with his usual aplomb and was the quarterback of the power play. Ken Wharram also received DMSO treatments. “It’s pretty funny stuff. For about 20 minutes after you put the stuff on, the skin burns. Then, in a couple of hours, it must get all through your system because you can taste it and your breath smells of it. Pilote was used mainly on the power play, but when he performed so well, Reay went to giving him a regular shift. “I was a little out of shape and had a hard time for the first couple of shifts. But then I settled down and the wind came back. Pilote will receive another dose of the drug before tomorrow night’s game. Golfer Gardner Dickinson also received DMSO treatments before his first round at the Texas Open this week. He shot a 65 to lead at the end of the first day. 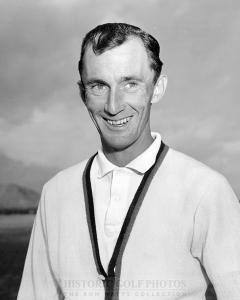 DMSO also worked for golfer Gardner Dickinson. Sid Abel of the Detroit Red Wings has suffered from an ulcer and rumours have him giving up the coaching mantle to concentrate full-time on his management duties. Reports out of Motown have Bill Gadsby tabbed as his eventual successor. Rochester Americans took a 2-0 lead in the AHL’s Calder Cup final with an 8-3 win over the Hershey Bears. Jim Pappin and Stan Smrke had two goals apiece for Rochester. A trade rumour making the rounds has Toronto trading Kent Douglas and Ron Stewart to the Rangers for defenceman Jim Nielson. Ranger GM Emile Francis denies the story. Officials from the Canadian National Hockey Team have agreed that the team should remain based in Winnipeg for at least one more season. Maple Leafs president Stafford Smythe says that both the Leafs and Canadiens have agreed to drop some Saturday night dates to facilitate a national television contract in the United States. Bobby Hull continues to lead the Stanley Cup playoff scoring race with 15 points, based on eight goals and seven assists. 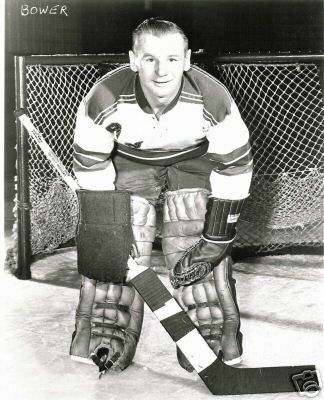 Phil Watson wanted keep Johnny Bower with the Rangers.